I’m taking a virtual walking tour ‘above ground’ on the London Underground. Using my Tube guide and my fitbit® device, my goal is to walk at least 10,000 steps a day roughly following along the Underground route, reporting back here on Fridays with my findings. This is Day Ten. What was it John Lennon said, “Life is what happens while you’re busy making other plans?” I’ve been here in an imaginary version of London, one where it never rains until after sundown and by 8am the morning fog has disappeared, taking a make believe walk ‘Above ground on the London Underground’ for awhile now. I started out at Heathrow, following the Picadilly Line route, but found myself taking a detour to Richmond, irresistibly drawn to the house where I was born. Now, despite my plan to get back on the Picadilly track, I find I can’t leave. Life stepped in with other plans. The real me, the one back in California, mapping out this pretend walking tour with the help of my computer and Google, connected for the first time with my only cousin on my mother’s side. At sixty-two, I’ve never met this cousin, actually I’ve never met any of my cousins. My mother and two of her three brothers left England, living lives, like many expat Brits, scattered around the globe. Beyond our immediate family, my brother, sister and I grew up without relatives. Grandparents, aunts, uncles, cousins. They weren’t part of the definition. Family came via air letters on thin blue paper from my grandmother in England. Pictures not included. Family came once a year via a big box of Christmas packages, wrapped in colored tissue paper, sent parcel post. Family came in once-in-a-lifetime visits from semi-strangers, like the summer our grandmother came to visit when I was ten and scared me with her grey hair, let out from its pins, dangling around her shoulders, her bony arms reaching out for a hug. Or the time my uncle Peter swept into town like Leonardo DiCaprio in Catch Me If You Can, and swept me off my preteen feet by the sheer force of his glamor—and just as fast jet-setted away, back to Malaysia where he finally settled down and married a beautiful Chinese girl. They had a son, about 15 years younger than me, a son none of us ever met. Let’s call him Sean, Sean my cousin, who I know solely from a couple of pictures Uncle Peter sent Mum when he was four or five, and later the news that he was going to university in England. Someplace posh, tony. He didn’t stay in England, instead he returned to Kuala Lumpur after college. Now, after almost fifty years of silence, Sean found my brother’s email address and contacted him looking for information about our grandparents. What did we know about Pop’s military service and where he’d spent his final years? After all this time! Family. And with family, the obligation, the happy obligation, to help. Pop, I knew, had fought in World War I, and I knew that because he was on the outs with my grandmother, or perhaps because he needed more care than she could provide, he’d spent his last days, in the 1980’s, in a home for veterans. Out of some deep recess of real or imagined knowledge, the Star and Garter came to mind. Admittedly I might have created this bit of knowledge, conflating family history with all the British period dramas I’ve watched in my life. Looking for confirmation, I dig into the storage bin containing some old photo albums and family records I’ve been saving, perhaps for this very reason. All I can find concerning Pop is a bad xerox copy of a newspaper article dating back to 1917. I need a magnifying glass to decipher the type on the blackened page; it’s an accounting of Sir Francis Lloyd presenting medals to 4 individuals, one being Sergt. G. Hayden, Royal West Kent Regt. G. Hayden. George Hayden. My pop. “The other recipient (Sgt Hayden) was born in Peckham in 1894 and joined the Staffordshire Regt. in August, 1914. His father joined 12 months later and was killed in action at Fleurs in September, 1916.” A century after the fact, I’m struck as powerfully by the sadness of my great grandfather’s death as if it happened yesterday. I learn that Pop was transferred to the Royal West Kents in 1915 and was wounded three times—at Gallipoli, Fleurs and Ypres. Names straight out of the history books and the first season of Downton Abbey. Pop won the Military Medal for Gallant Conduct on September 15, 1915 for holding on to a Lewis gun at Fleurs. He’d been stopping by outposts and found a team of ten or so men ‘hard-pressed’ —a euphemism I gather, for being heavily attacked. He stayed with them, trying to help for a whole day and an entire night, while at some point the remainder of the gun team became casualties, killed by a shell. 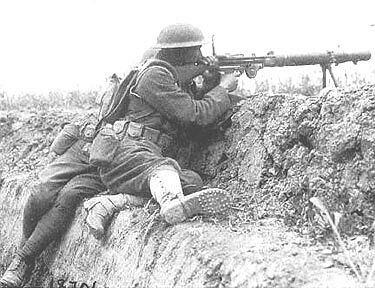 “He remained by the gun until relieved by supports coming up and the position was held.” He was only 21. I check the internet for The Star and Garter and discover it’s currently undergoing a massive renovation and being converted to luxury penthouses and apartments. 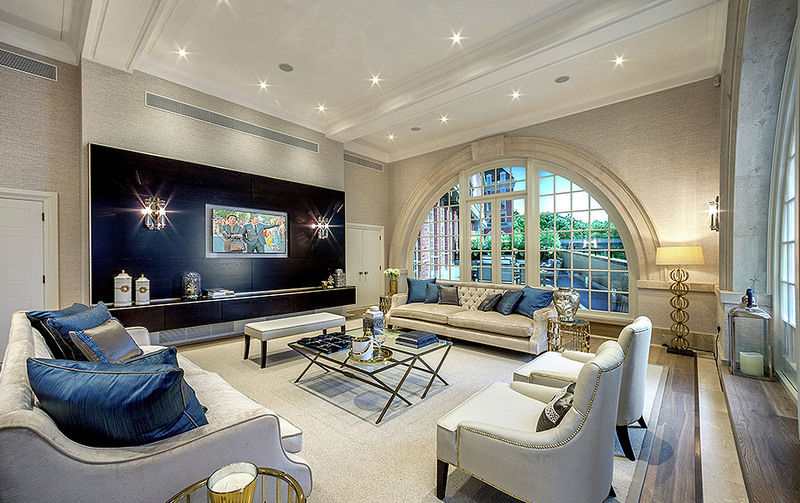 A real estate development company called London Square paid fifty million pounds for the home on the hill. 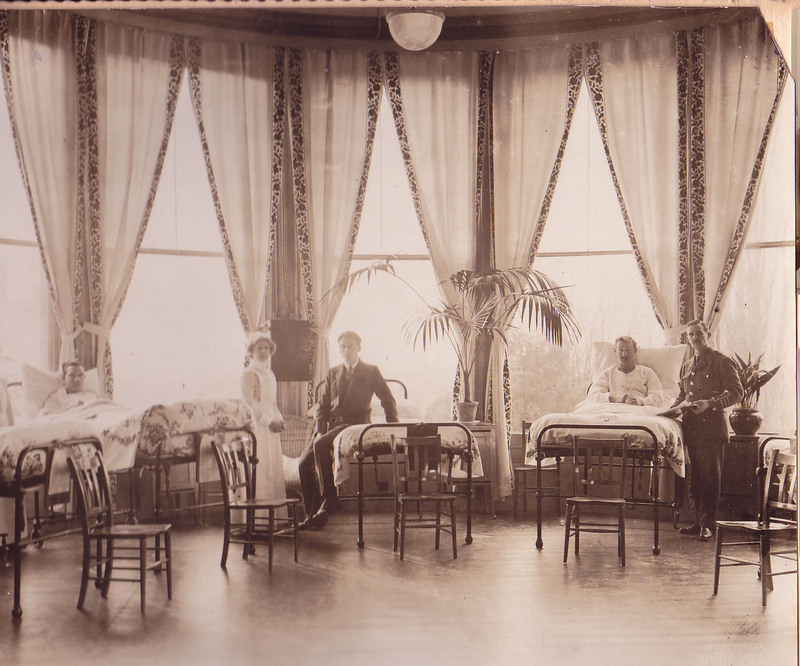 Initially a hotel, the Star and Garter was annexed by the Red Cross at the direction of Queen Mary as a military hospital during World War I to house wounded veterans. You can still see the Red Cross over its doorway. Over the years it was rebuilt and enlarged and in the early seventies became a home for respite care for former servicemen. 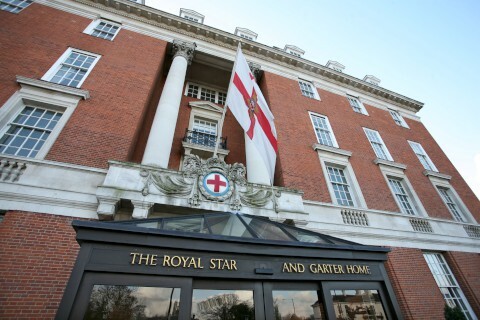 It’s possible then, that I haven’t made it up, that the Royal Star & Garter actually is where our Pop spent his last days. In 2013, deciding that the additional cost to overhaul the building yet again was unaffordable, the charity closed their doors, leaving the large building on Richmond Hill behind, concentrating on ‘Star and Garter’ properties in other areas. 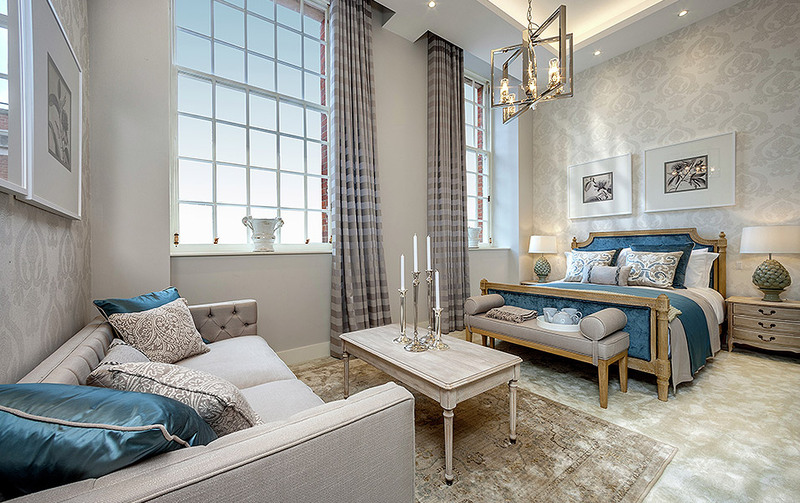 The rooms are gorgeous, with high ceilings and expansive windows with deep sills. The kitchens and bathrooms are a bit modern for my taste but at only 1.7 to 4 million pounds, beggars can’t be choosers. I send Sean the info I’ve gleaned, along with a couple of pictures I find of his father when he was a teenager and of Sean, when he was a little boy. He’s thrilled, or sounds it anyway, from the tone of his email. He sends me pictures of himself with his wife and their beautiful little girl, and suggests we get together on Skype and catch up. Catching up. That will take awhile. For now, I take another detour. Instead of heading from Kew Gardens to the Picadilly Line I head back to Richmond and down to Richmond Hill. I’d like to see the Star & Garter for myself. That is an amazing story, I enjoyed every bit of it! I hope you will keep up more of this story and update us on Sean as well. Hey Tina, thanks for making my day! The death of your great-grandfather made me sad, too. Brothers off to war is the more normal story. But, of course, father and son combinations would have happened, too -- especially in earlier times when people had children at a younger age. How hard it must be to lose a father or son and still feel the need to continue the fight. I loved learning about the Star and Garter and its long history. Those rooms are beautiful!